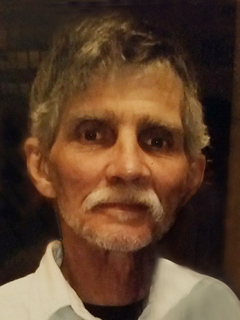 Thomas Donald Carraway (Tommy), age 70 of Cleveland, Ohio passed away on February 4, 2018 at Fairview Hospital with his loving family at his side. He was born August 18, 1947 to Mary Ballengee and Thomas Carraway. He graduated from West Technical High School in 1965. He served his country honorably in the U.S. Army and is a Vietnam Veteran. Tommy was also a lifelong Cleveland Indians fan and retired mechanic. He was the loving father of Amy (Wayne) Harper and Michael (Kristin) Carraway; and beloved grandfather to Kierstyn General, Harlow Carraway, Hayden Harper, and Benjamin Harper. He is survived by his sisters, Rosie (Gene) Calhoun and Georgia (Frank) VanWie, his brother, Charles (Barbara) Carraway and numerous nieces and nephews. He was preceded in death by his mother Mary Ballengee, father Thomas Carraway, brother Samuel (Linda) Carraway, and sister Kate (Joe) Marshall. Tommy will be honored at a military inurnment ceremony that will be private at a later date. I was Tommy’s brother-in-law back in the 80’s . Amy and Michael were toddlers back then. I was in his presence 4 or 5 times, perhaps and I genuinely thought he was a great guy. I most certainly enjoyed his company when time permitted on our brief family visits. Goodbye Tom. I hope your life was a favorable one.